You can find many fashion accessories for sale at Barneys New York. Some of which from the famed desing house of Alexander McQueen. The store currently has a Skull & Bones Tie. It is a silk printed tie with a brown background of skull and bones. The tie is made in Italy and is sold under Barneys style # 500763972. 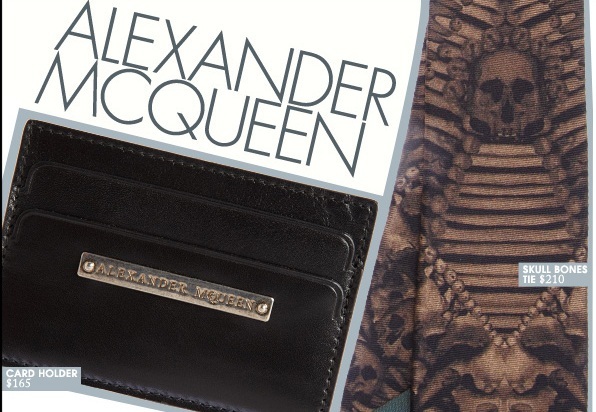 Learn more Alexander McQueen here on Apparel Search or visit the Alexander McQueen website..